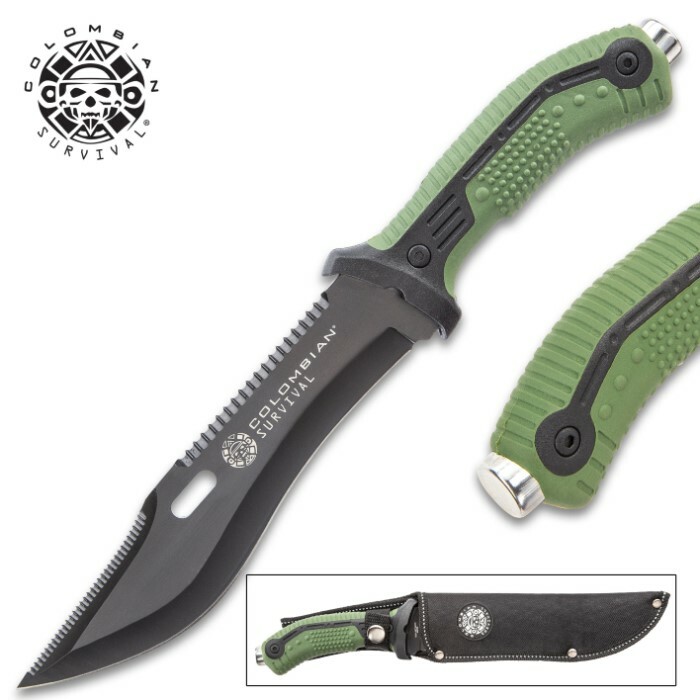 Colombian Bogota Survival Fixed Blade Knife With Sheath - Stainless Steel Blade, Serrations, Grippy TPR Handle - Length 12 7/10” | BUDK.com - Knives & Swords At The Lowest Prices! 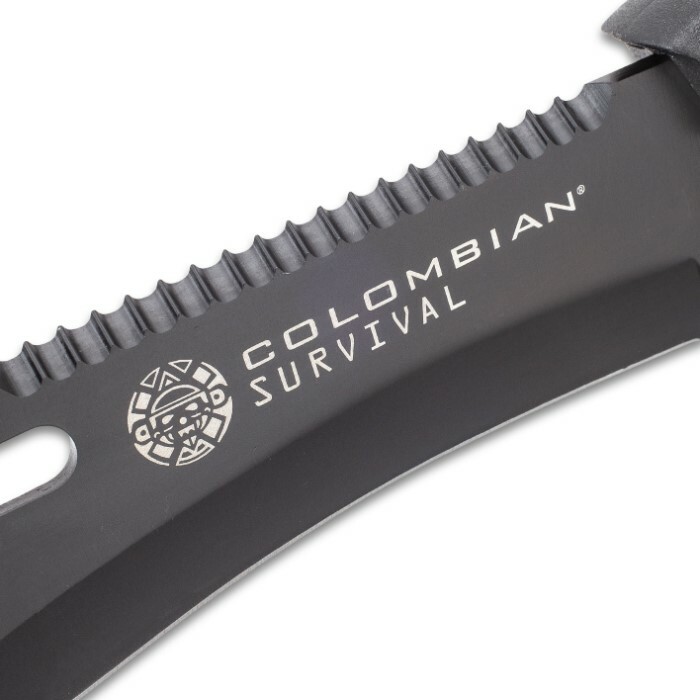 Our Colombian Bogota Survival Fixed Blade Knife gives you both the power of a saw and a razor-edge in one magnificent blade. 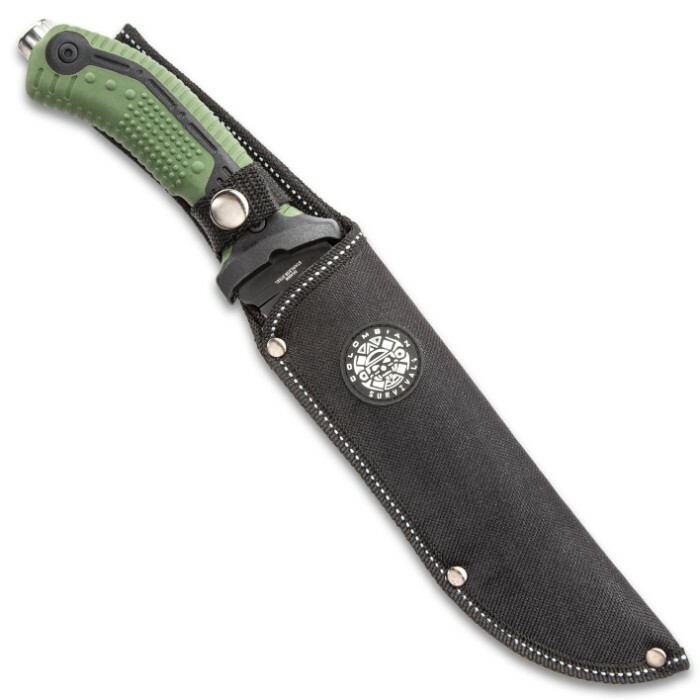 The black, non-reflective 7 7/10” stainless steel, clip point blade features sawback serrations and mini teeth on the spine. 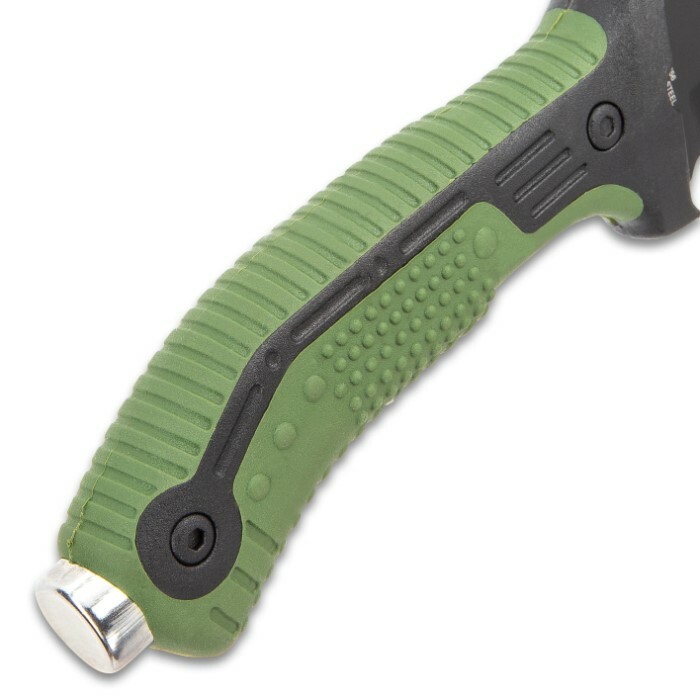 The ergonomically curved, green TPR handle is extremely grippy with its ridges and knubby texture and it has a skull crusher pommel. 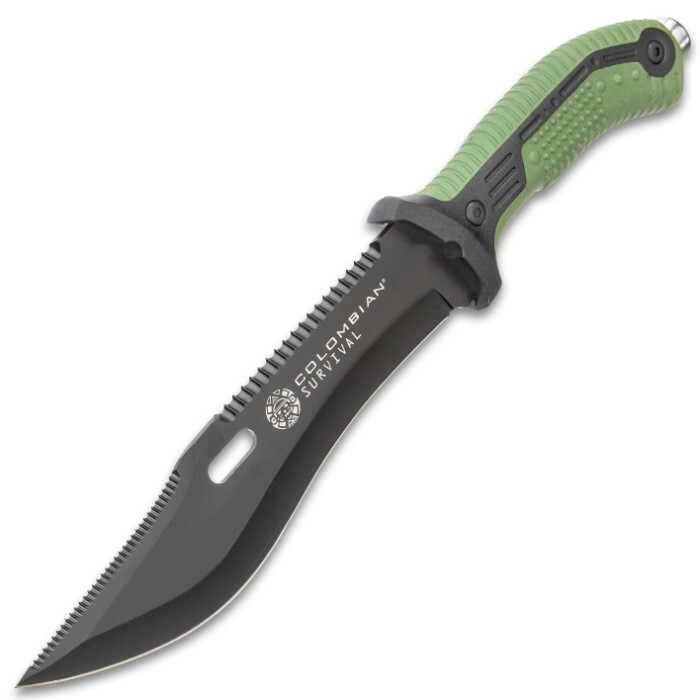 The 12 7/10” overall survival knife fits like a glove in a sturdy nylon belt sheath with a Velcro strap to secure the handle. 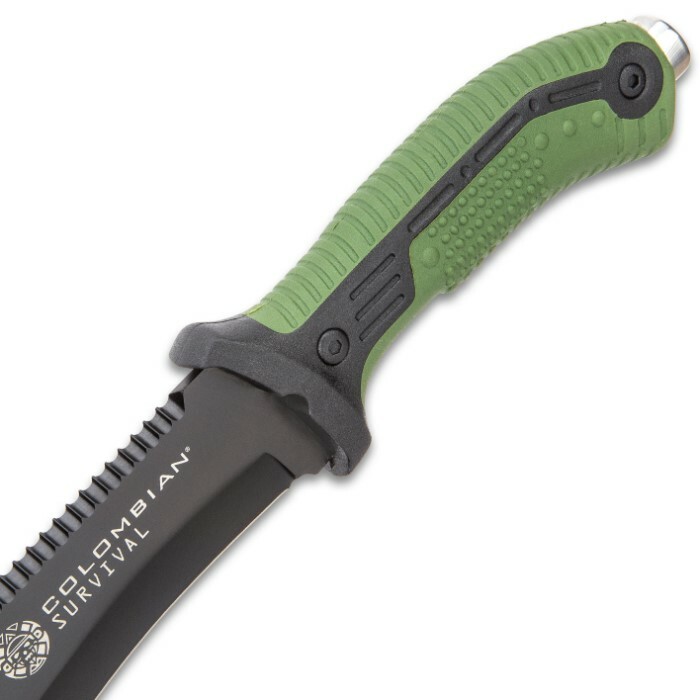 With the Colombian Bogota Survival Knife, you’re ready to conquer both jungle tangle and backyard brush! Got in the knife of the month club and it's a great little work horse. Worth the money.